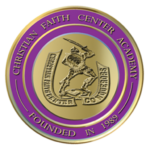 Want to learn more about CFC Academy? Give us a call or send us an email. We look forward to hearing from you! Would you like to schedule a tour of our school facility? Interested in visiting CFC Academy and need driving directions? Click on the map.